Custom printed or embroidered dress shirts are a great way to advertise your Syracuse, NY business. Having your company logo printed or embroidered on high-quality dress shirts adds to the overall professional look of your business and employees. Our custom printed, high-quality dress shirts are available in a variety of colors, styles and colors. We have a full team of talented graphic designers who’ll work with you to ensure that your dress shirt design is just what you had in mind. 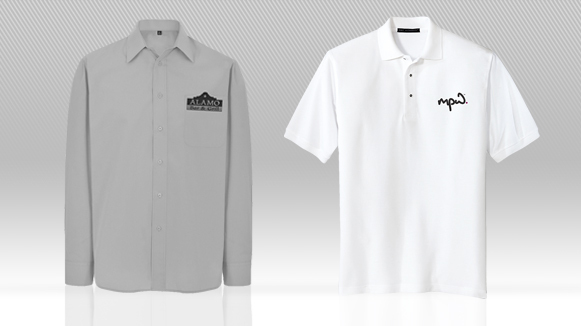 When you need custom printed dress shirts, trust the experts at Seaboard Graphics. To find out more about our custom dress shirt printing services, call us at 800-721-1663 or contact us, and we will be happy to help you.